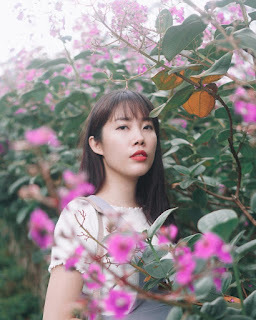 What's the first thing that comes into your mind when you hear 'Korean Makeup'? My answer will be dewy, fresh, youthful, and natural. Korean makeup is really suitable for everyday because it's barely there. I happen to rarely buy Korean makeup lately, because the colours are really sheer, from their lip tints, eyeshadows, blushes, you name it. That's what I used to think about Korean makeup, until I was introduced to Color Bucket by my dear friend, Jesslyn. Color Bucket is the whole opposite of regular Korean makeup that tends to be sheer, they're so playful and colorful! 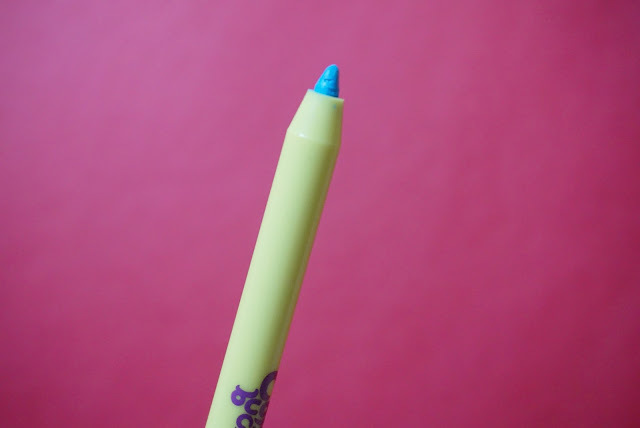 The first thing I got to try from Color Bucket is their Flash Pop-up Geller #4 Pop-up Blue, a bright sky blue eyeliner. The packaging is cute, the color is lemon yellow. And I like that it has a pinch of the eyeliner color on the end, so it's easy to grab the color we need without opening the cap. 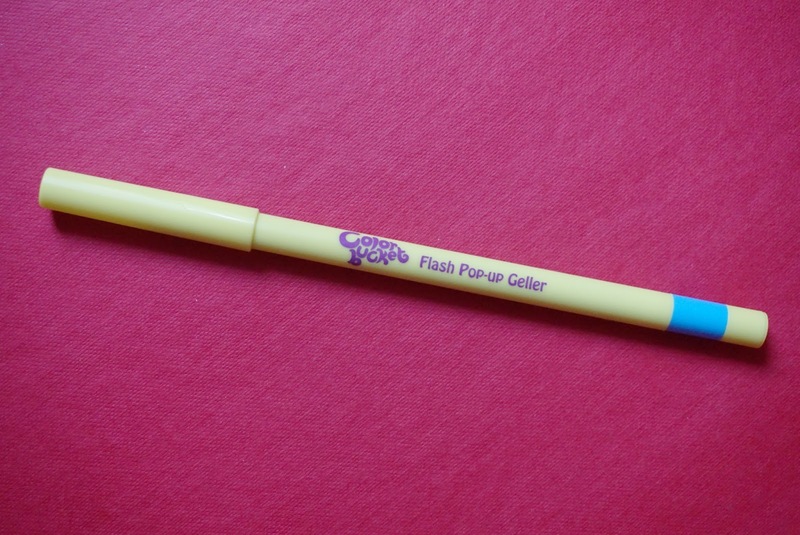 You don't need to sharpen the eyeliner, just twist the end to get more product! Easy peasy. 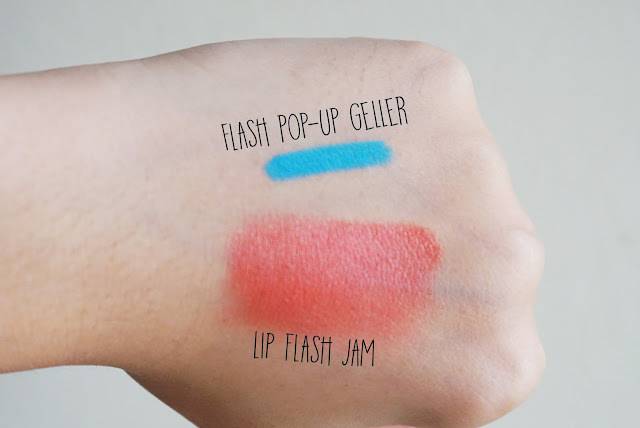 I also have Color Bucket Lip Flash Jam that has been waiting to be reviewed as well hahah. For now, you can get Color Bucket at Lazada. jess.. kalo foto cakep2 teyuuuus.. itu warna nya pop-up banget ya?? matte lagi ya.. biasa nya kan yang shimmer yang keluar warna nya..
hahaha masa sihhh.. take photo-nya banyak jadi bisa milih-milih kali ya hahaa..
Iya warnanya bagus cerah-cerah, matte lagi!! Beautiful color! Have a fun day! iya aku bener-bener coba hapus pake air, bener-bener gak ilang sama sekali!! hebat! I have always been a fan of korean makeup due to its sheer nature but man o man this color is gorgeous!!  I am ordering this brand ASAP. Kapan mulai kuliahnya? Awww... I'm gonna miss you though, moment dimana gak usah jongkok-jongkok kalau foto bareng hahahahaha..
Bagus banget nih eyElinernya.. warnanya bright n matte!